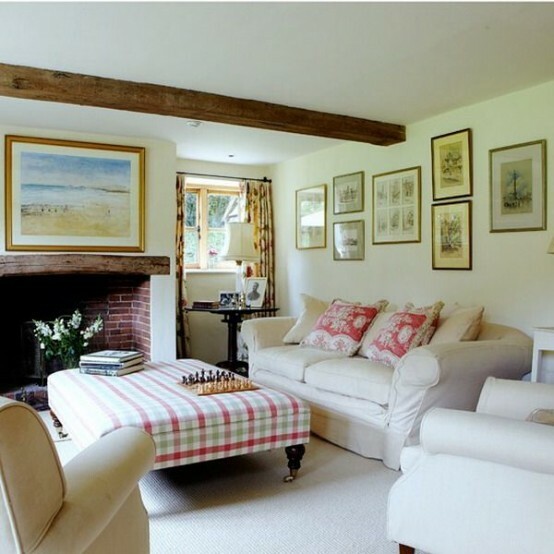 Farmhouse interiors often feature exposed wooden beams like this living room. 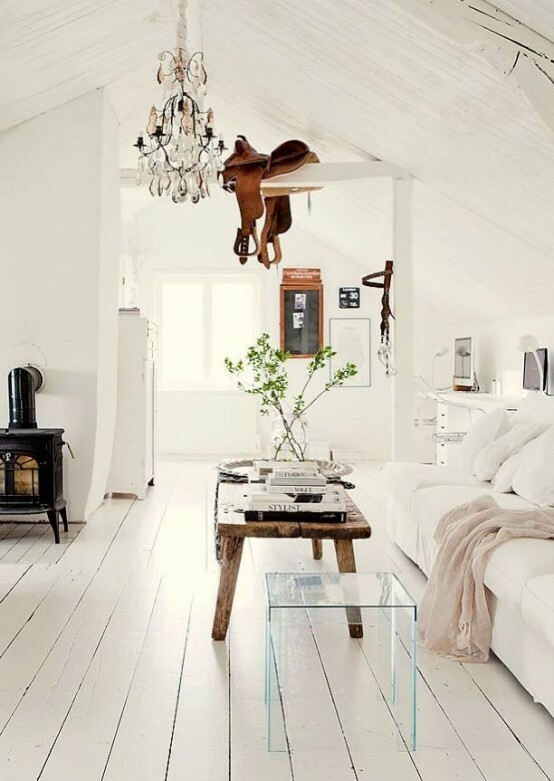 The cool thing about them that they make any space captivating, cozy and special. 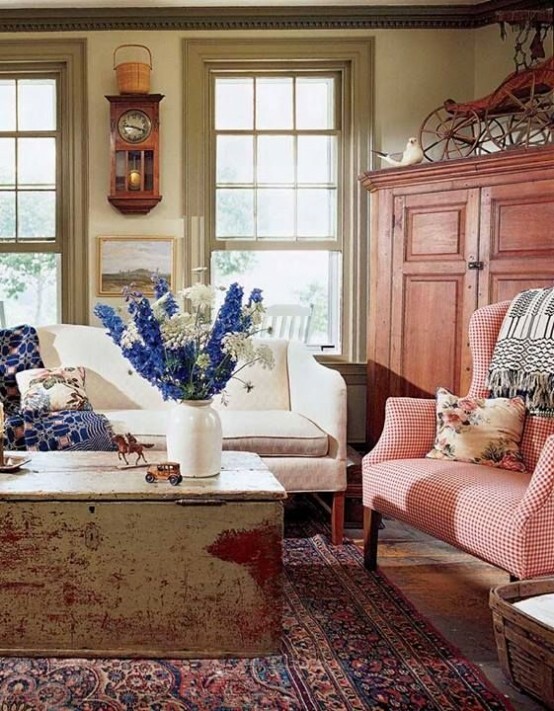 Buffalo-check armchairs can easily become a focal point of your living room. 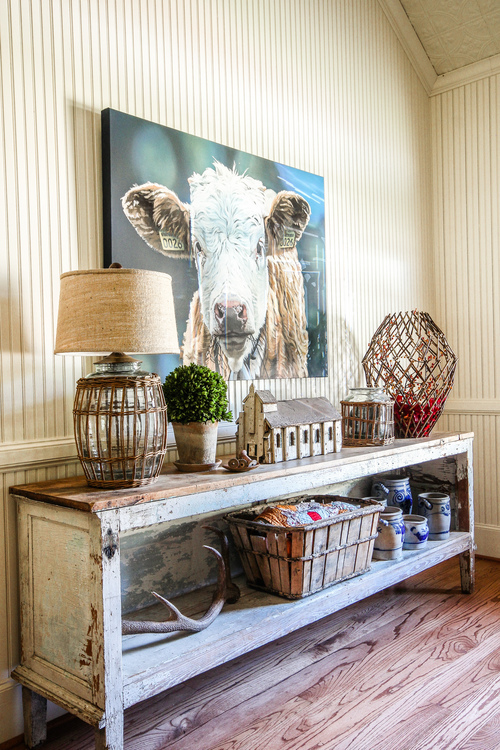 This pattern is one of those farmhouse-icons you can't live without. 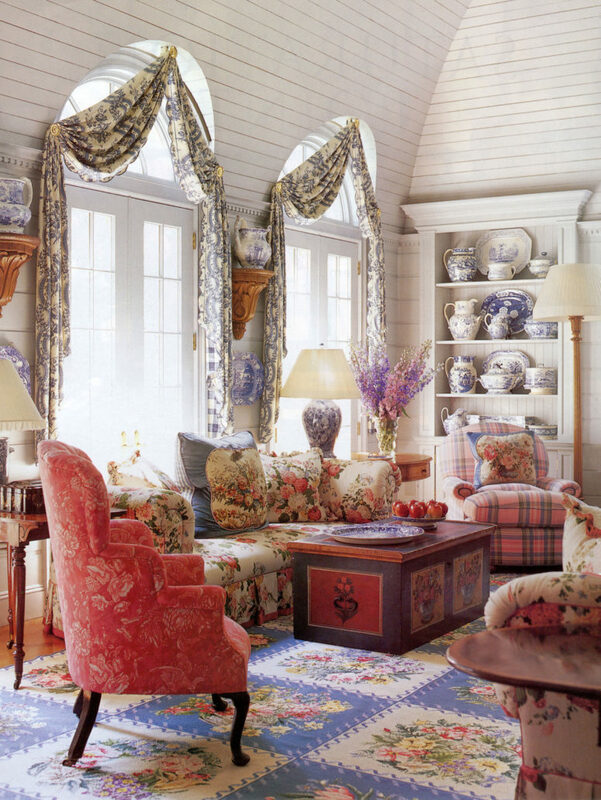 Fill the room with wildflower chintz patterns and you won't regret. 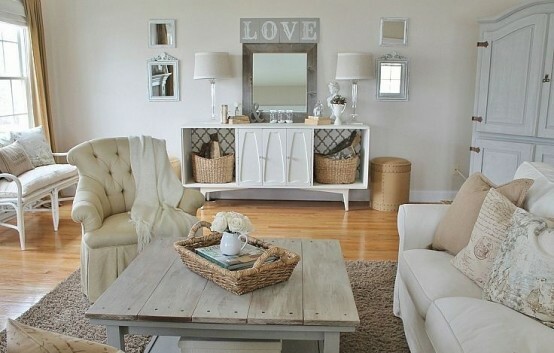 It' look really cool and interesting. 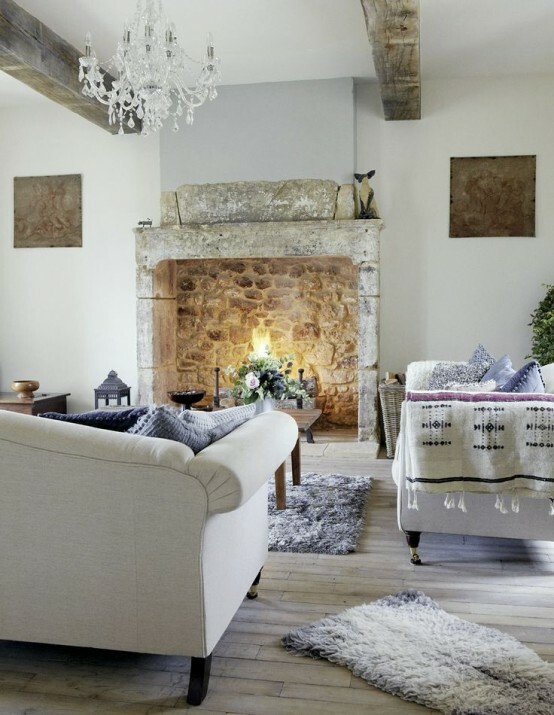 Wood-panelled walls is an another great feature that fit well into farmhouse interiors. 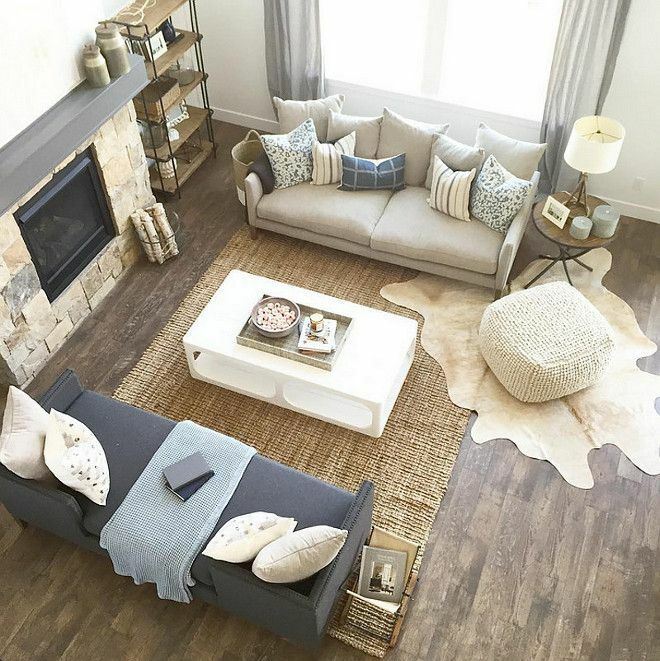 If you have a spacious living room then you're lucky. 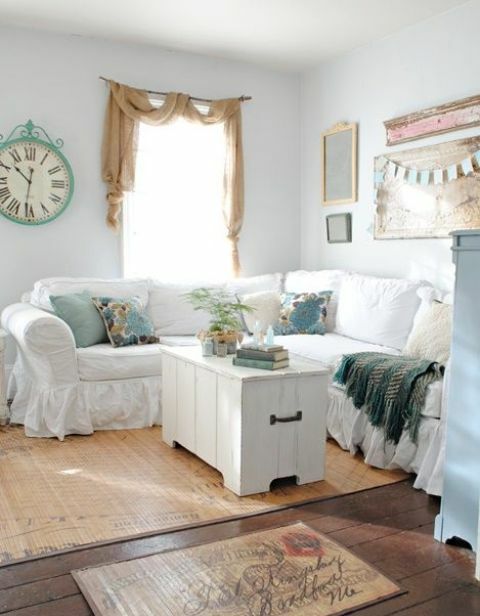 You have lots of space to display all those gorgeous flea market finds around the room. 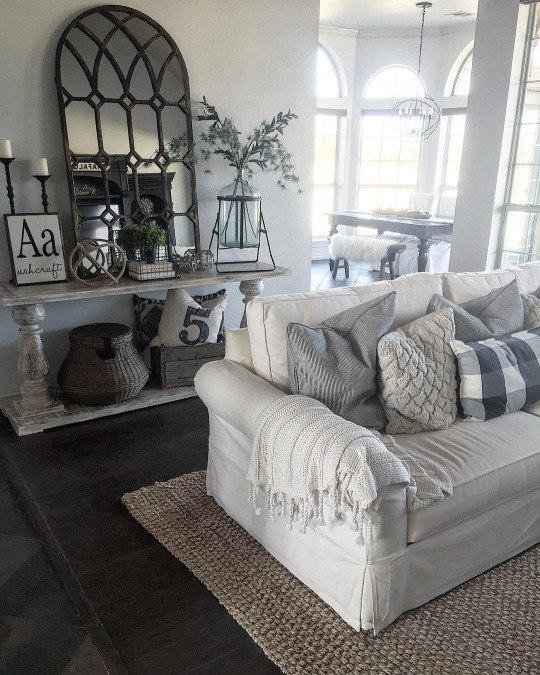 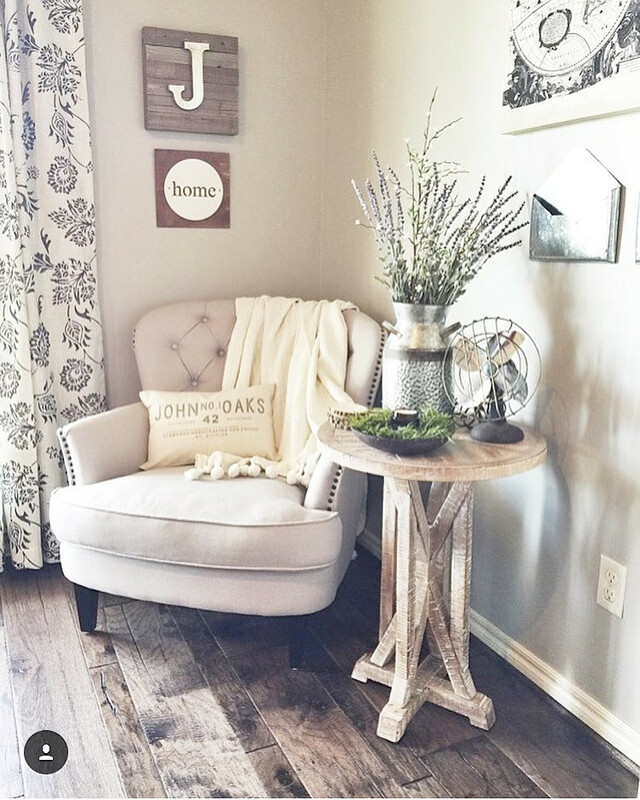 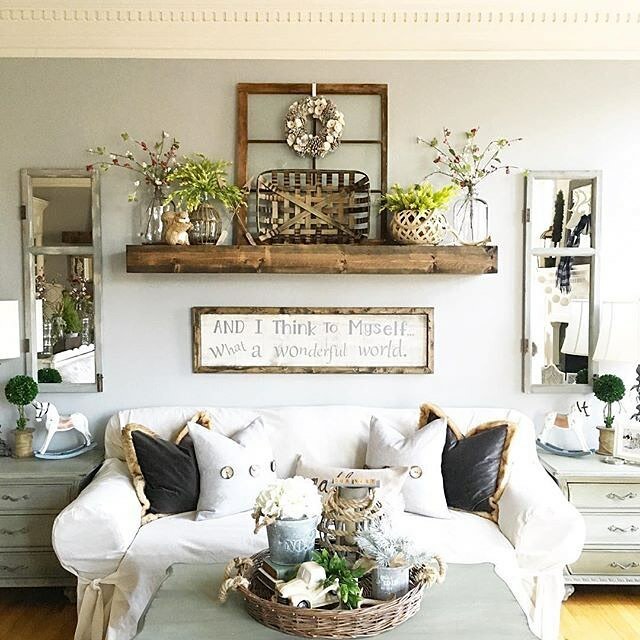 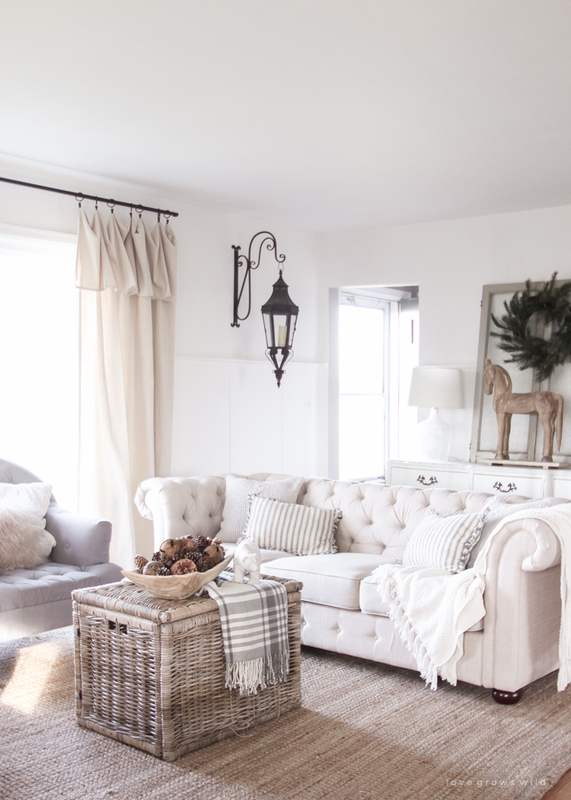 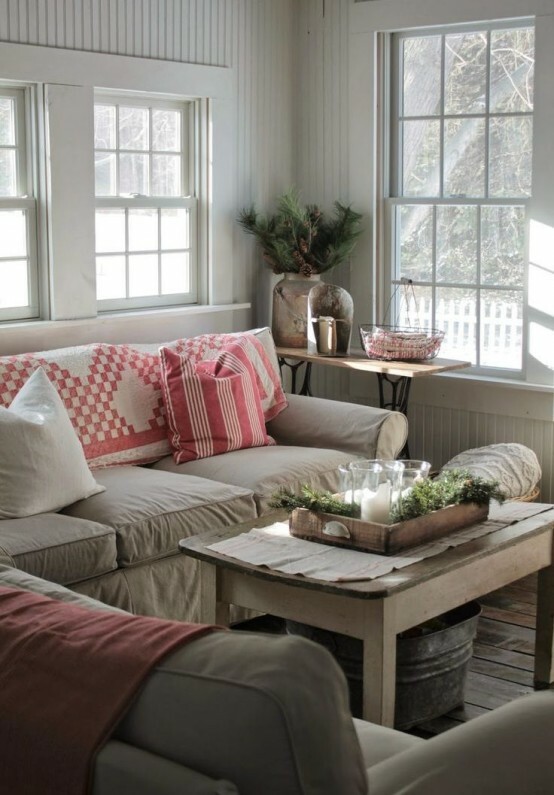 A little family corner is a great thing to add to any living room farmhouse styled or not. 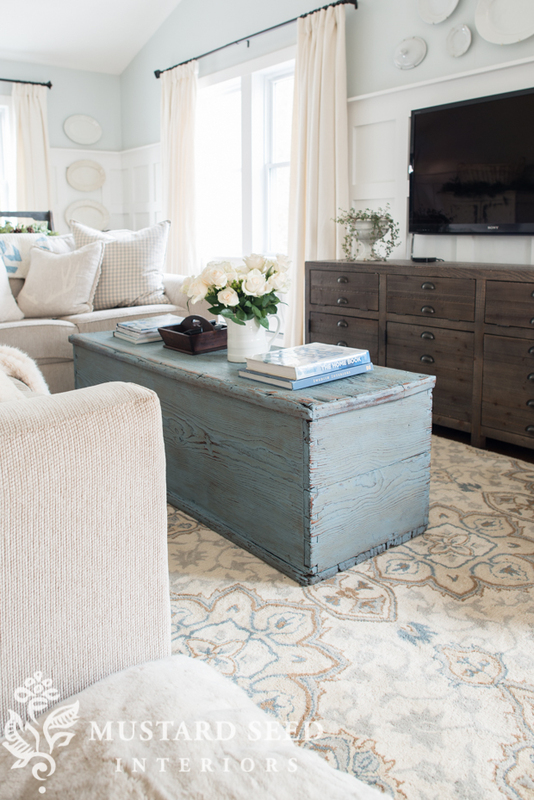 Layered rugs is a great idea to mix and match patterns and materials. 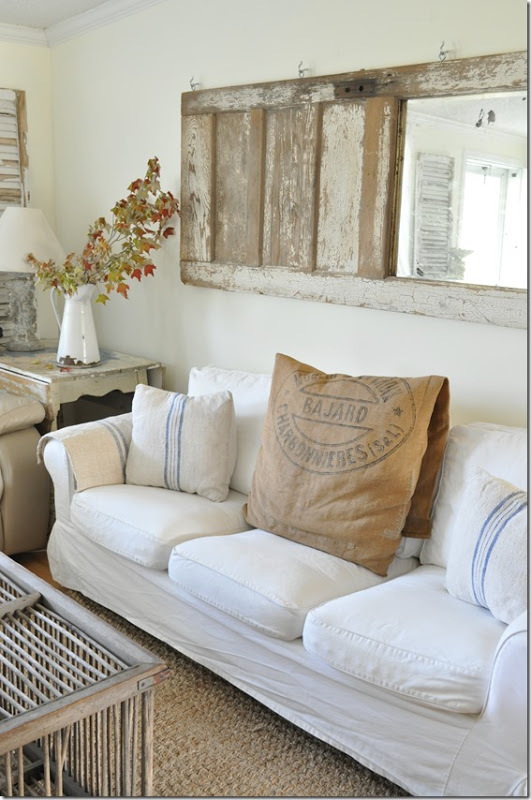 Turn a grain bin into a coffee table and you've got yourself a gorgeous focal point of the room. 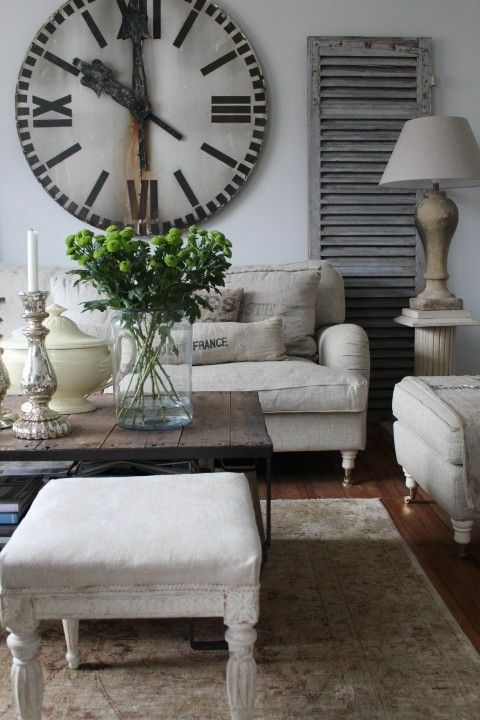 A weathered clock hung on a wall acts as a statement piece in this airy living room. 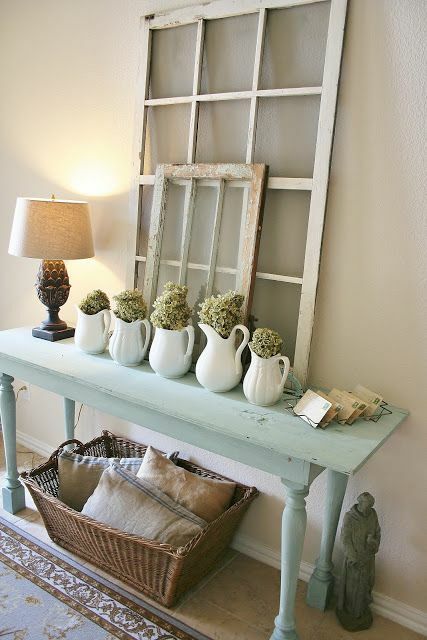 If you have some space by the wall put a console table there. 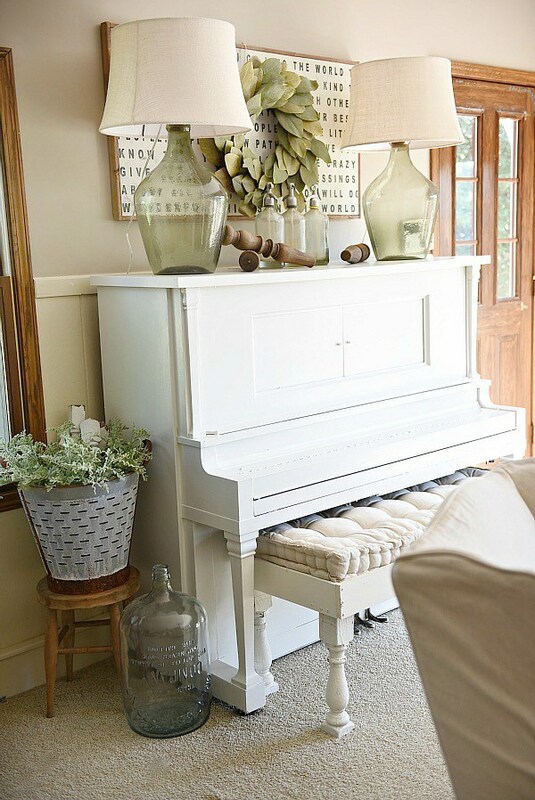 It could be a great place to create beautiful decorations and change them from time to time. 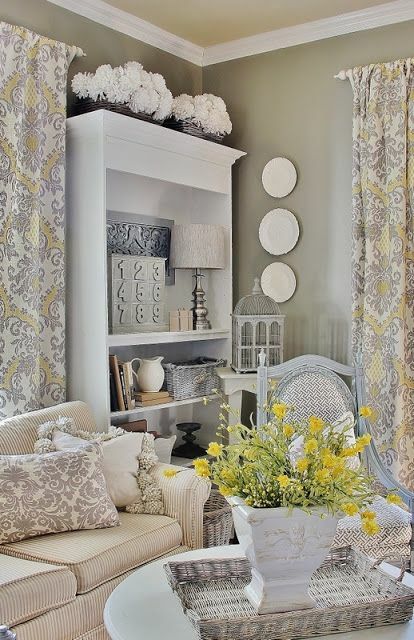 Not every living room needs draperies. 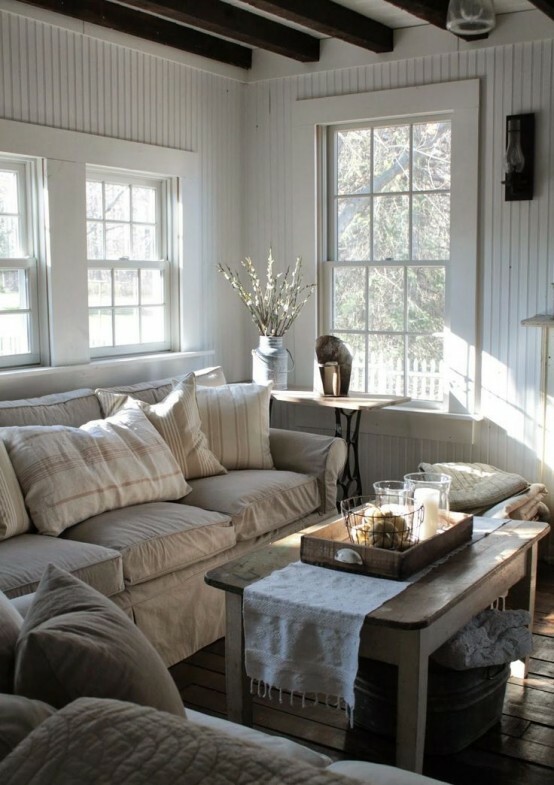 For example, here bare windows provide a refreshingly streamlined look and take advantage of all that natural light. 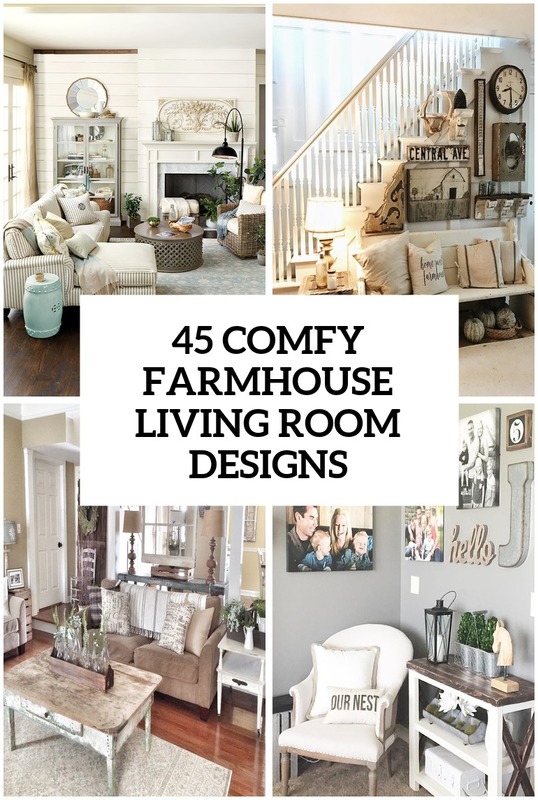 You can easily unite a farmhouse living room with a kitchen. 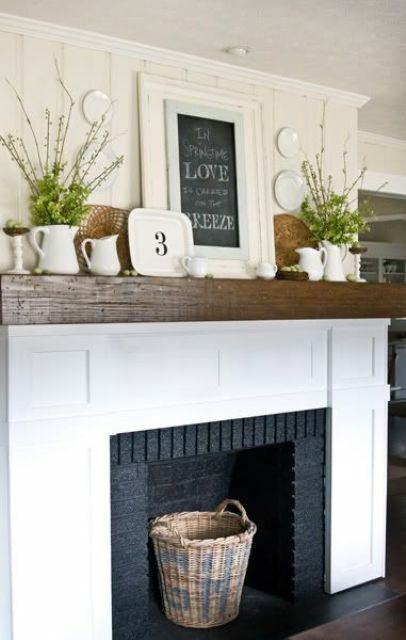 Such space would look great cuz it's always easier to find vintage kitchen stuff than anything for the living room. 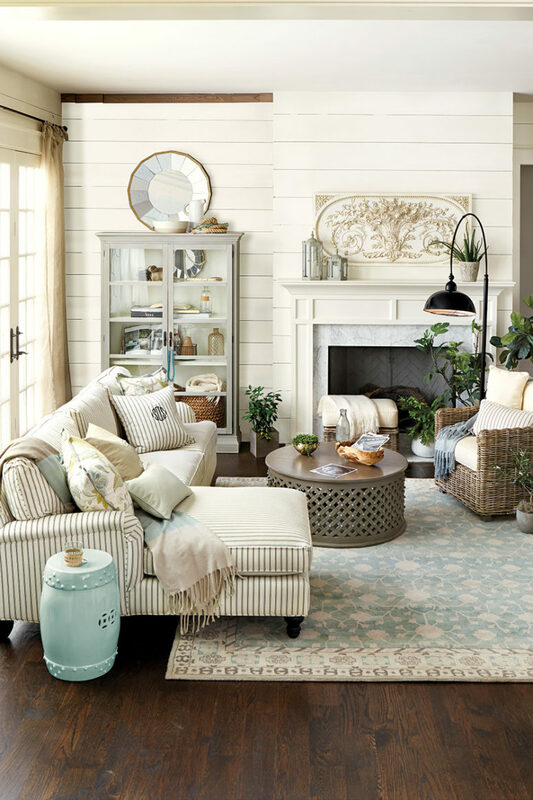 Persian rugs looks fancy surrounded by upholstered furniture in pastel colors. 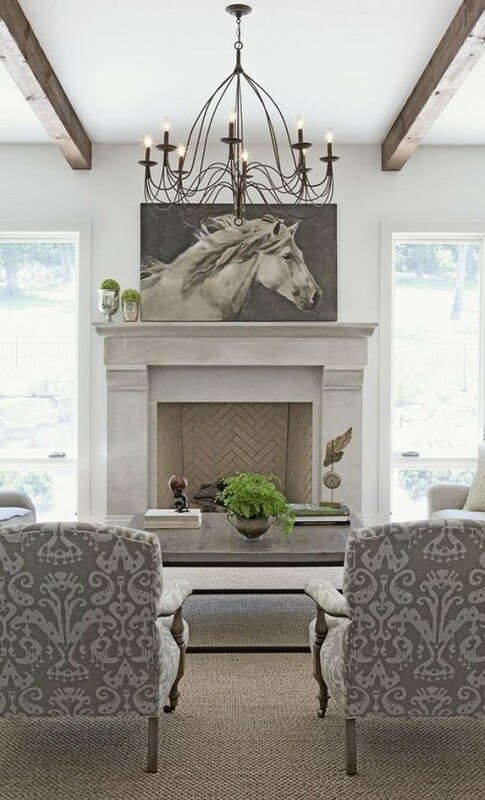 The cool thing about such rugs is that patterns mask spills. 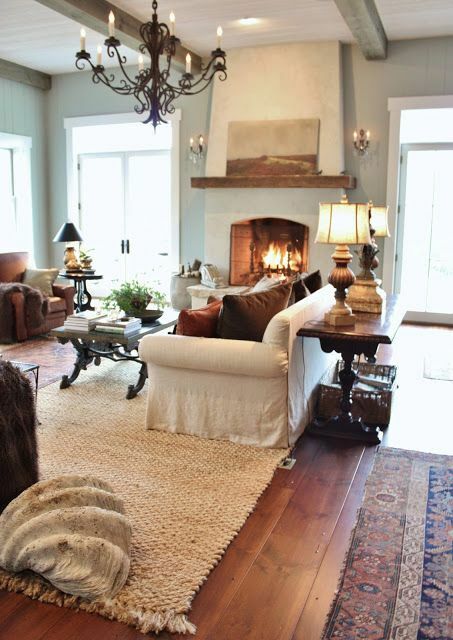 Built-in cabinetry on both sides of the fireplace provide a sense of balance. 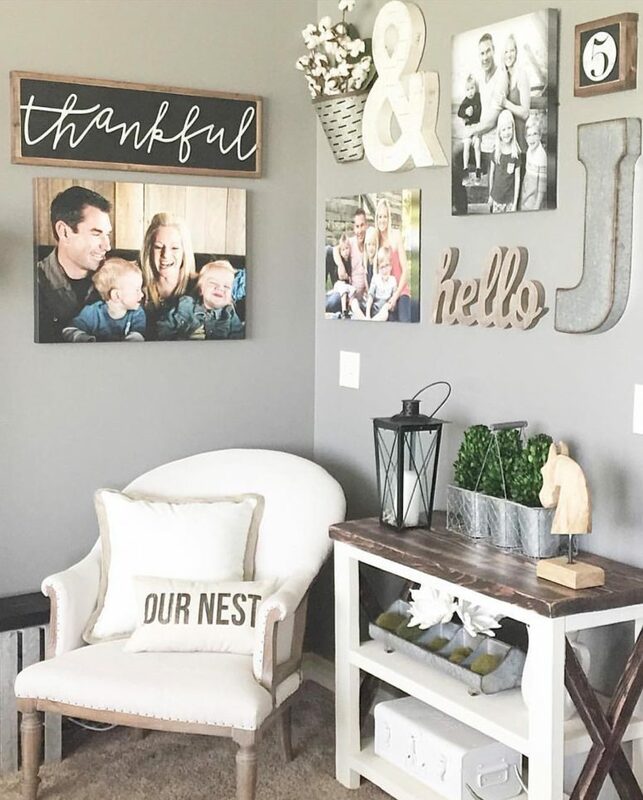 Besides that provide lots of storage space and you could display family photos on their shelves. 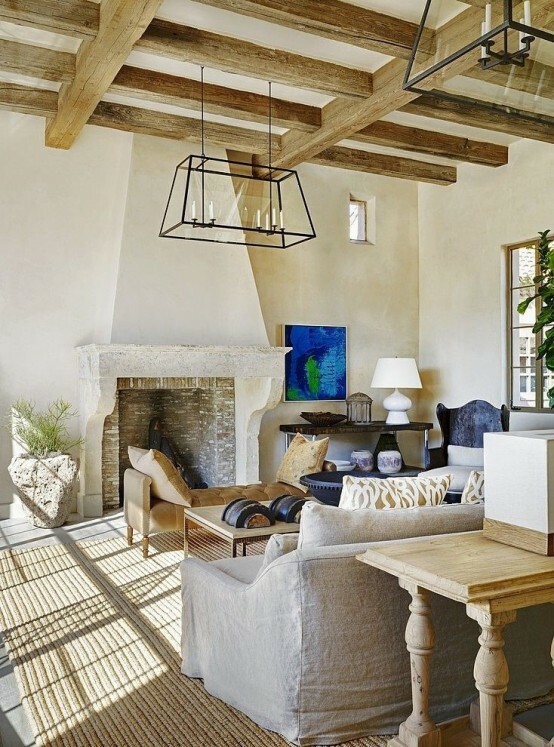 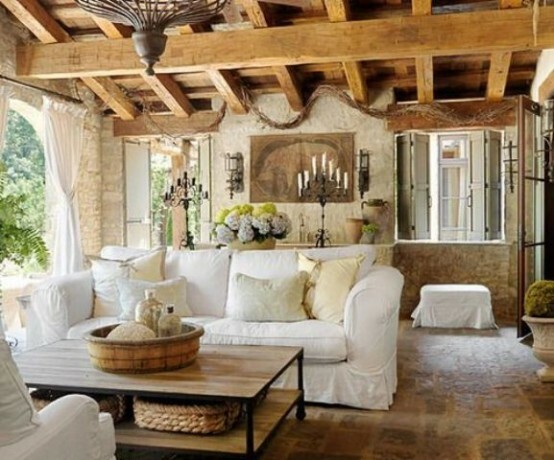 Old wood beams can draw the eye to the ceiling even in such gorgeous, airy and cozy space. 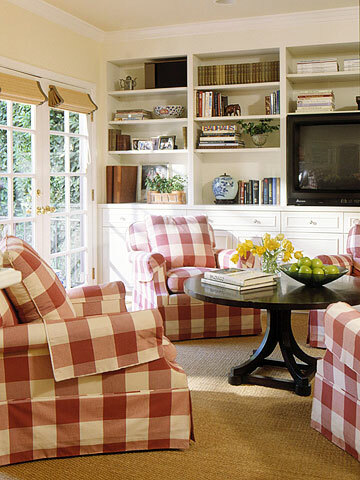 Buffalo-check armchairs paired with built-in bookshelves can make any room not only look cool but also functional. 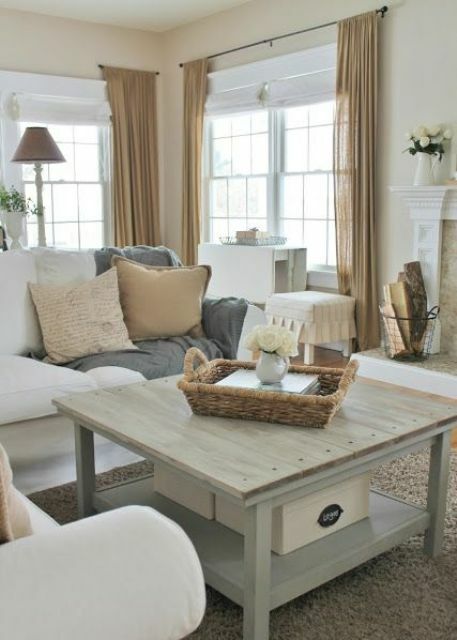 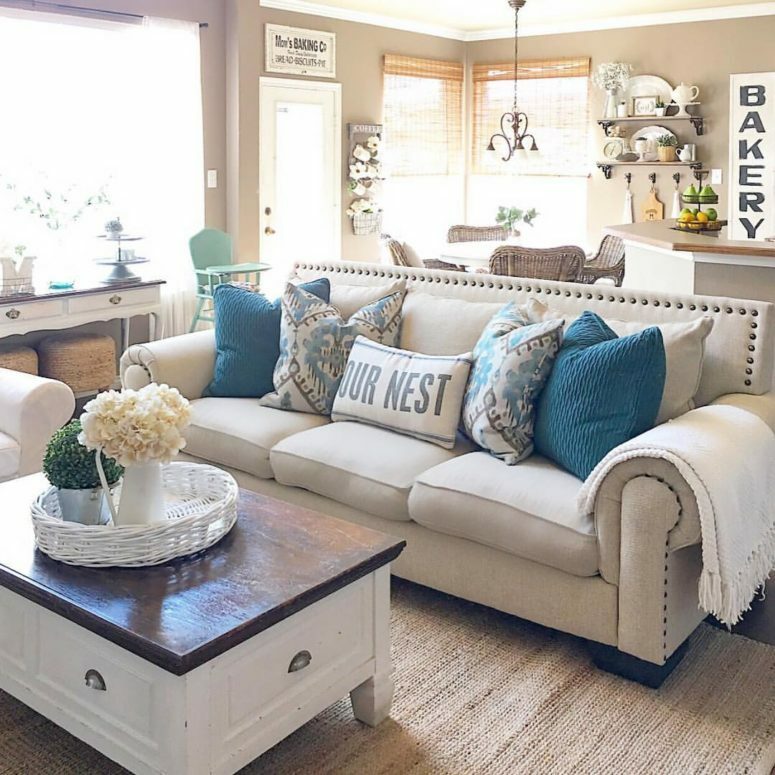 Shabby chic furniture surrounds a vintage coffee table that looks like a chest. 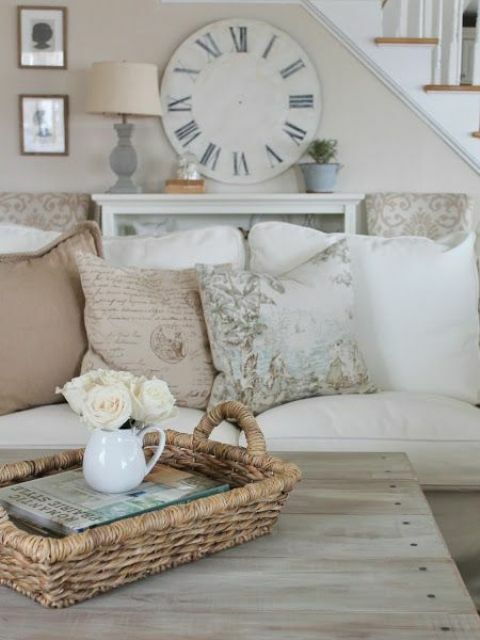 An antique clock and cool draperies also add an unique touch to the room's look. 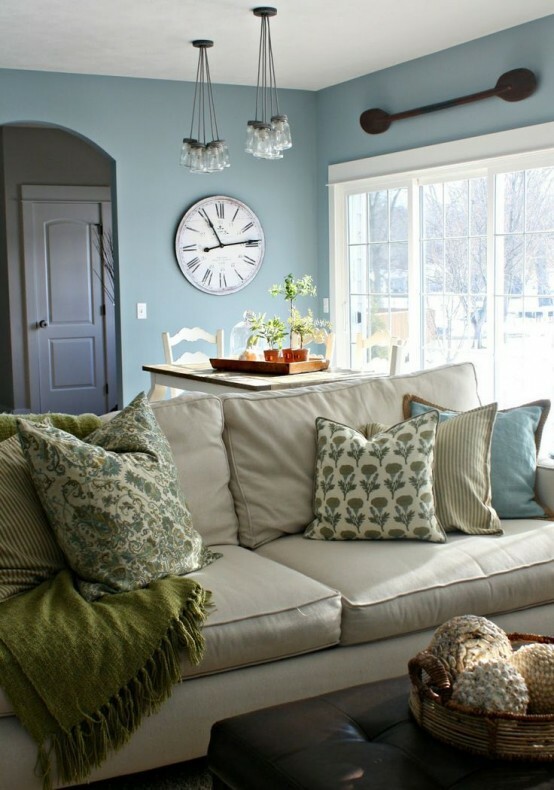 This large sofa is just as comfy as is swanky. 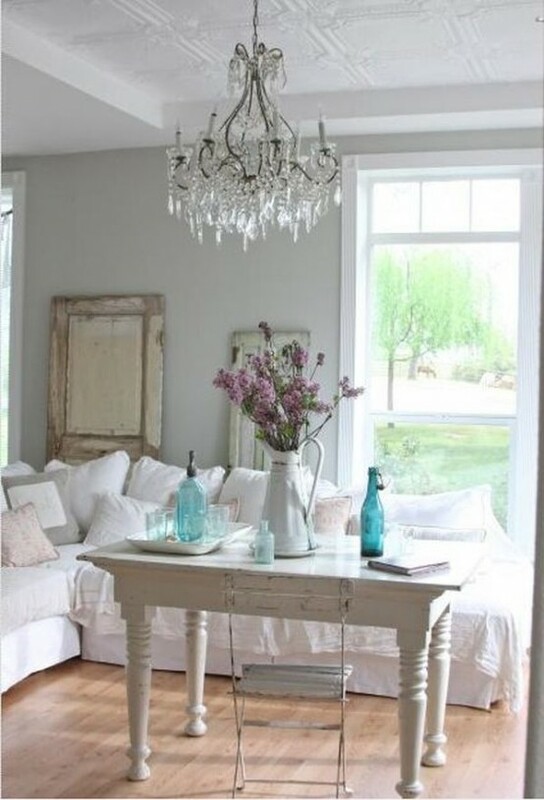 A vintage table provides a perfect place to display a beautiful jug centerpiece. 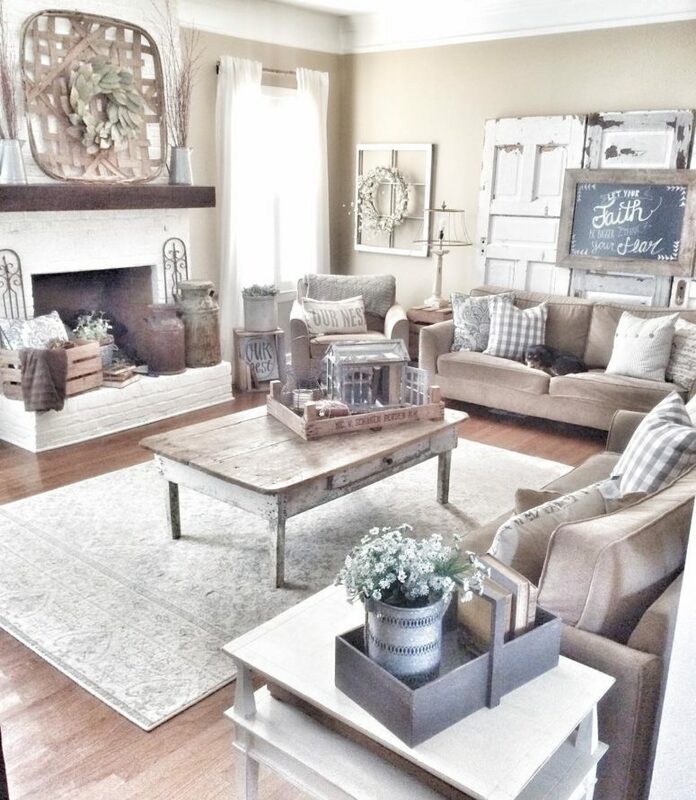 In this living room the beadboard ceiling, distressed furniture and vintage decor makes it looks quite unique. 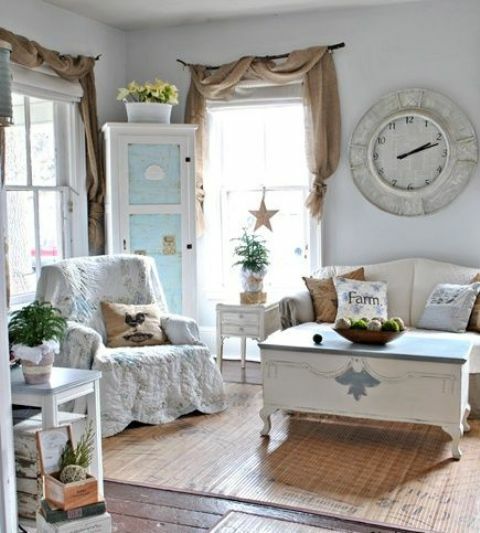 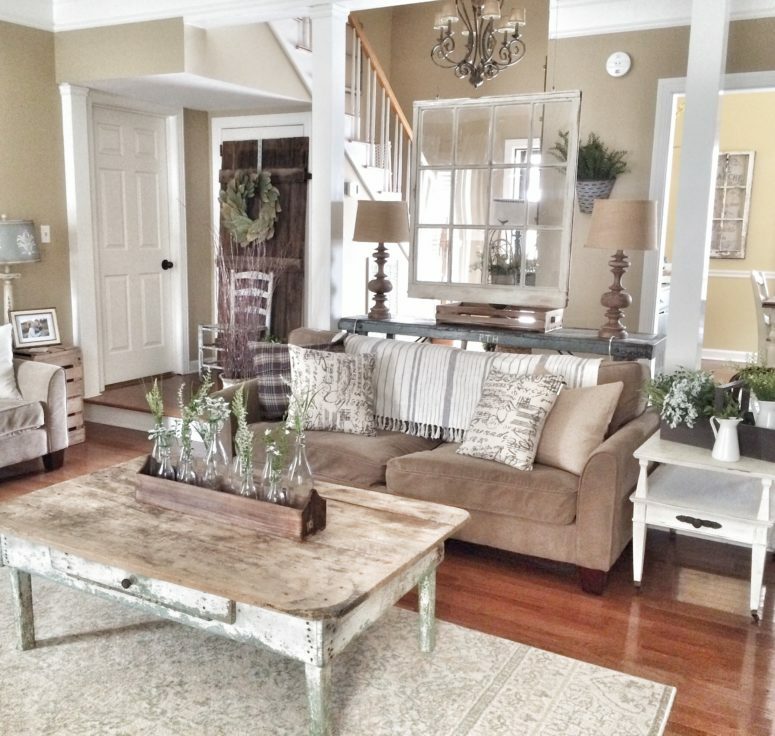 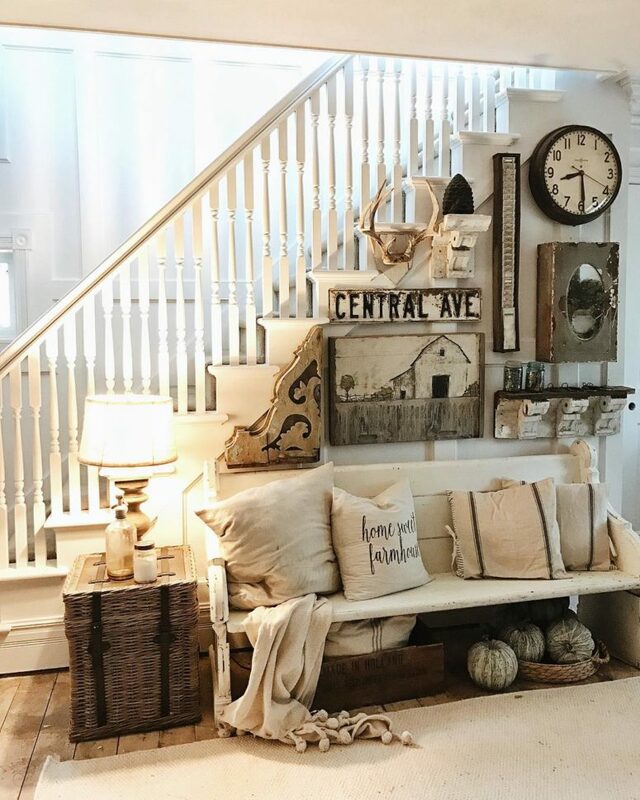 Large vintage wall clock with rust on them mixed with neutral furniture is a great way to make a farmhouse living room looks really interesting. 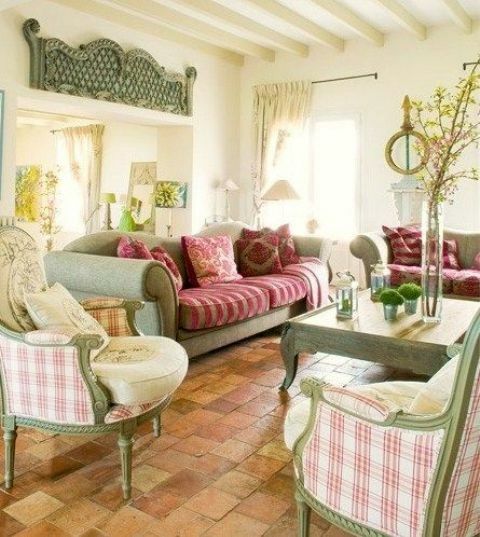 Long-leaf pine floors provide a stunning canvas for weathered, pastel furniture. 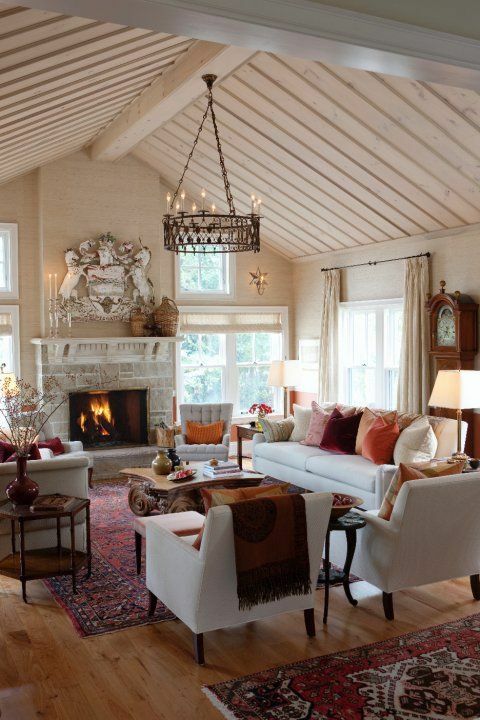 Exposed beams and lots of windows make any room filled with warmths and happiness.